"Classes continue all year round". It can be hard to find the time to exercise when you have a baby, but now there is a way for new Mums to jog and get fit with their babies in Northampton. 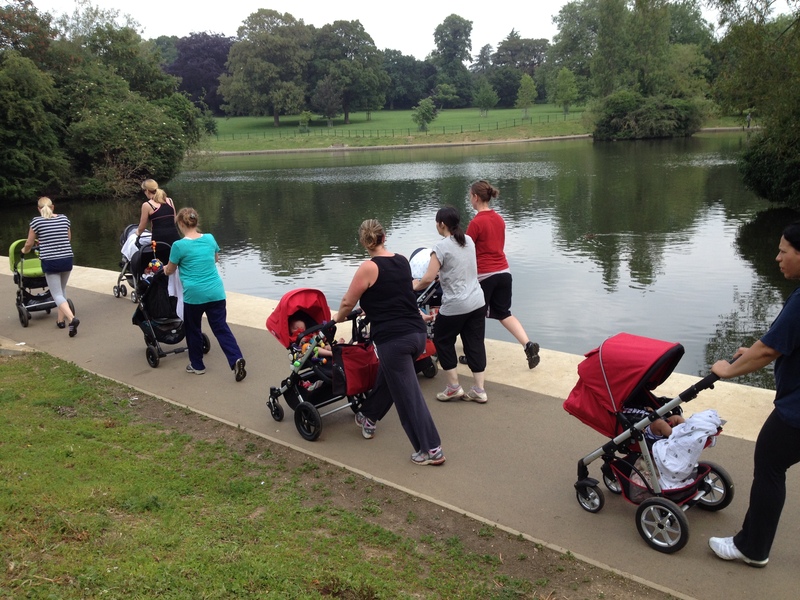 Buggies in the Park sessions are held in Abington Park every Tuesday at 11am. As Northamptonshire's Premier Fat Loss Expert, my mission is to make Northamptonshire the healthiest county in the country! This is no mean feat and in order to get anywhere close to achieving this, I realise that I need to make health and fitness options available and affordable to everyone. I already offer 1:1 Personal Training. However, I now want to offer a speciality service for Post-Natal women. There are many Personal Trainers, many of whom are male, offering various forms of exercise. Pre and Post Natal exercise design is more specialised and I have undertaken additional training to give me a more detailed understanding of what an expectant mother goes through. Although I have no children of my own (thanks to mother nature), I have often thought how difficult and expensive it would be to keep myself fit and also take care of a new baby. Pregnancy and childbirth are such an amazing time in a woman’s life. It is really important that through all the changes a woman and her body go through at this time that they look after themselves as well as their baby. The post-natal period is a time when most of the attention will be focused on the new baby and mum will be very tired, emotionally drained and may have really low self-esteem. After 9 months of carrying a new life inside, mum will be anxious to get her own body back as soon as she can. Having a new baby and either trying to resume an exercise regime or embarking on a new one can become a very difficult and expensive juggling act. The idea of the Buggies in the Park Groups is to bring groups of people with similar experiences together. They will be able to share experiences, get advice on their nutrition and at the same time have fun exercising in the great outdoors without having to pay for crèche or child minding facilities on top of their class fee. In an ideal world, your baby will most probably sleep through the entire sessions. However, if in any session, baby demands your attention, you will be encouraged to attend to your baby and then rejoin the group once baby is settled again. Your first session is on ME. Come and try it out and see how you and baby get on. Designed by Total Creation Web Design.